SEO is a minefield that can seem complicated for some, and even something to avoid. When in reality, Search Engine Optimization can be boiled down to simple processes and far easier to implement and see results than you may imagine. In this post, you will find insightful information about how SEO works, and by the end of it you’ll have a far greater understanding and confidence on this whole area. Content On-Page SEO is all the stuff you can see on the front-end, and is fairly straightforward once you get the hang of it. Every type of content that gets written for online websites needs to be optimized in at least two ways. One way is for the audience (quality, tone etc), and the second one is for the search engines. …and that’s most of your on-page content SEO done! There are many SEO strategies, that will result in better organic reach. Note, for targeting useful keywords, users use very specific Keywords research tools. As you’ve seen above, in on-page SEO optimization, links are important. There are two types of links – internal and external. When our goal is to gain backlinks, we should focus on external links, which are basically links pointed from your site to another site. Once another site links back to your site, that’s called a backlink which is important for SEO because it’s just one of many ways search engines uses to determine the credibility of your site. The most popular way of gaining backlinks is to pitching other sites guest post ideas and asking for a link in the guest post you write for them. But, of course, there are many different types of link building. How many times have you visited a website in the hope of finding something you were looking for, only to find yourself sitting there and waiting for it to load? Now, how many times did you just close that website and head somewhere else? That’s why website speed is important, and there are many ways to improve the speed, without having to know anything about complex code. The easiest way to speed up your site is to make sure all your links are properly working and to optimize the large images on your website. Reducing the images by shrinking their size without losing the quality is the most popular and the easiest way to do it. With every Google Speed update, they require even faster website loading speeds. Therefore, the user experience will improve and guess what? The longer users stay on your website, the better it is for SEO. In 2018, mobile use now outweighs computers and that trend is only going to increase. That’s the chief reason, among others, as to why your website should be mobile friendly. Around 63% of your visitors will come from mobile devices, and that’s why it’s important to have a mobile-friendly website. If you happen to have a website which isn’t optimized for mobile devices, a simple change of a theme to a responsive theme which is mobile-friendly is a great start. Once you have your website optimized for mobile devices, you will notice that the number of visitors from mobile devices will stick around for longer than before. Long-time gone are the days when you could have created a site, load it with content, and see the results in a very short amount of time. Now, search engines sort the sites by their age, by the relevance of their URL to the main topic of the site, and the authority site has over other similar sites. At first, when you create a website, it might even take up to 6 months to gain some traction as it’s the period known as “Sandbox”. There, your website is being evaluated how serious it is and how much fresh and valuable content it produces. After 6 months, if search engines think your website is suitable for the keywords visitors look for, your website will slowly start getting better rankings. Nothing can happen overnight, and that’s why domain age and authority, in combination, together will slowly but steadily set your website right on track. Social signals are just another important metric that search engines use in their algorithms in determining whether a website deserves the ranking (and if it is the best choice visitors can get for the searched keyword). The more people share, retweet, like, comment, send to other people through social media, the more search engines will begin to trust the site. Simply because of common sense. If other people like what the site offers and they even take time to share it or send it to other people, they will create backlinks to a site which will let search engines know that this site is worth the visitor’s time. The citation is just another metric that is more important for local SEO practices rather than global. The business citation is any online mention of the name of a business, the location of the business, the business’s phone number, or anything related to a local business. This way, search engines gather such citations and determine whether they’re worth positioning them for some keywords. This will help people discover local businesses. Structured data is a smart way of informing users who have searched for one keyword, with more information that is related and might be something people would look for as well. A great example of structured data would be a restaurant that when people search for through Google, it wouldn’t only show up its website, but also its working hours, address, pricing, stars, and even customer reviews. Structured data is also important for web crawlers (search engine algorithms which visit your website), to go through your website in a code, rather than visually. In SEO, everything is related to something, and it’s mostly common sense. 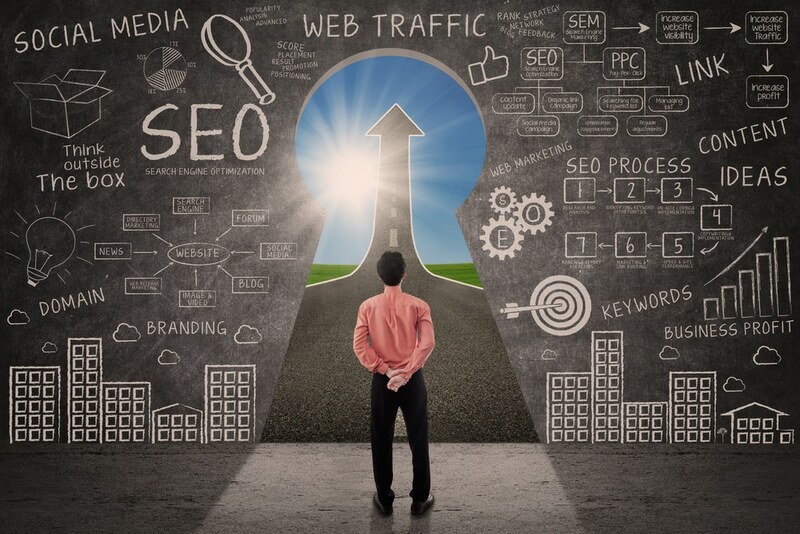 Even though nobody knows exactly what search engines use to determine the value and worth of the site to rank it at the top of the results, we still know many things that we can work on in order to give ourselves the best chance of a high ranking whilst maintaining the flow of quality content. Once set up correctly, organic traffic can be easier to acquire than paid traffic, and it tends to produce better results. But only if you get everything set up and working in your favor. You now have a better idea of what SEO is all about, and how to create strategies to make the most of it!